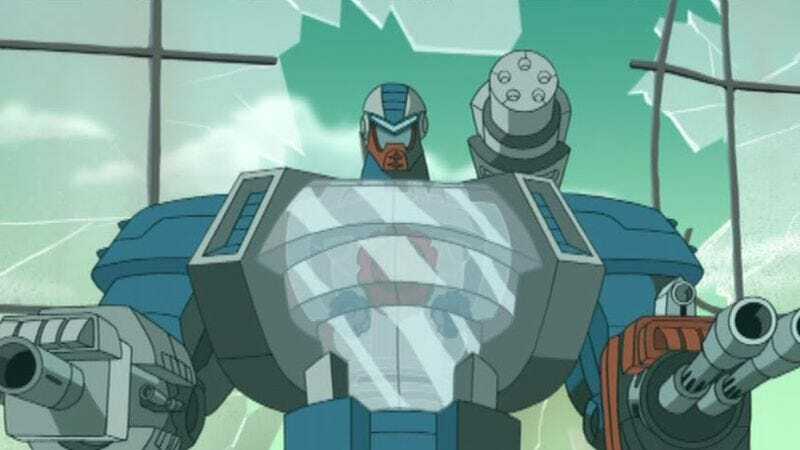 Roboto, a minor character in the He-Man universe, now a minor change on a website. Hello, loyal A.V. Club readers. You might have noticed that these words look a bit different. Maybe you ascribed them to you yourself being transformed, or the larger world. And that may or may not be true, but insofar as the way stuff looks on this website, you’re right: We have a new font. This new typeface’s name is “Roboto,” and it’s been described by its creators at Google as “modern, yet approachable” and “emotional,” like a down-to-earth android with an empathy chip you can talk to whenever you’re feeling blue. Our tech team thought it was time to give the text display a slight upgrade to improve readability across mobile screens especially. On the editorial end, the kerning of Roboto allows us more space to work with in headlines. We were also sold on its “modernity.” It’s the 21st century, after all; it’s time to hand over the grunt work of fonts to robots, so we can focus on colonizing Mars and getting the hell off this planet. Domo arigato, Roboto. Anyway, we know change is upsetting, particularly when lots of other things seem to be in upheaval. And with every slight alteration to this website, we know there are some who will resist and long for the recent past. But eventually, we hope you will warm to our new font, just in time for us to switch it over to the inscrutable glyphs of our Martian future.